Just a few basic supplies and what an outstanding project this turns out to be. This silhouette is achieved with the use of a recylced magazine image, black construction paper, scissors, tape and oil pastels. 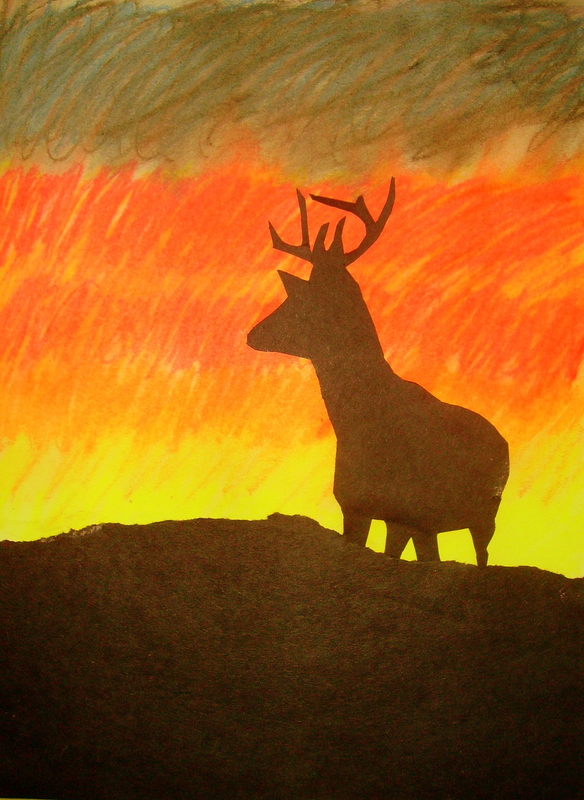 For the complete instructions for “Sunset Silhouettes,” go to the 6th Grade Projects Gallery in the sidebar. This entry was posted in 6th Grade and tagged 6th grade, art and crafts for kids, magazine art, oil pastel art project for kids, oil pastels, silhouette, silhouette art project, silhouettes, sixthgrade, sunset silhouette. Bookmark the permalink.